Designed and acoustically treated by experts, our studio is a warm and cosy place to get creative. Red Roof Studios is a state-of-the-art audio production facility filled with all the tools and digital power you’ll need for your project. It was built to inspire creative music-making at every stage and is fully capable of handling film and post-production. Our goal is to provide a creative environment for writing, recording, mixing and performing. 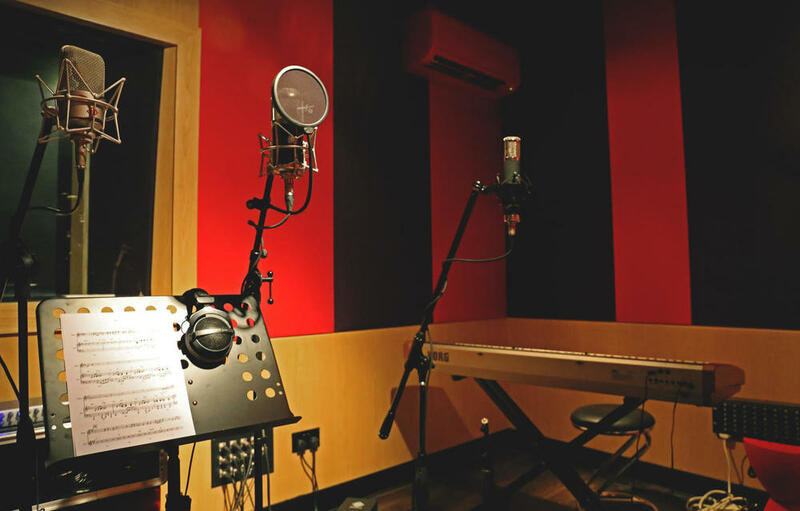 Our studio is located at 12 Mount Sinai Drive, Singapore 277073. Map and directions here. 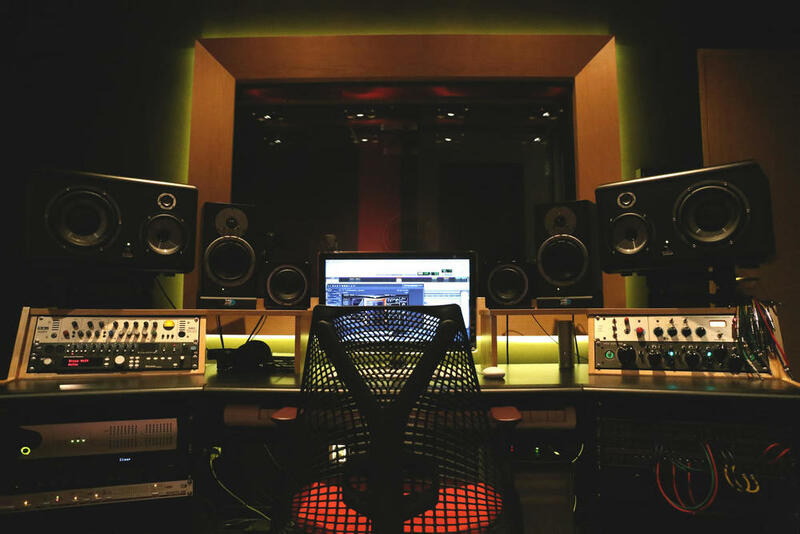 We offer competitive rates for studio hire with and without an engineer or a producer. The recording studio and control room are also available for hire separately. 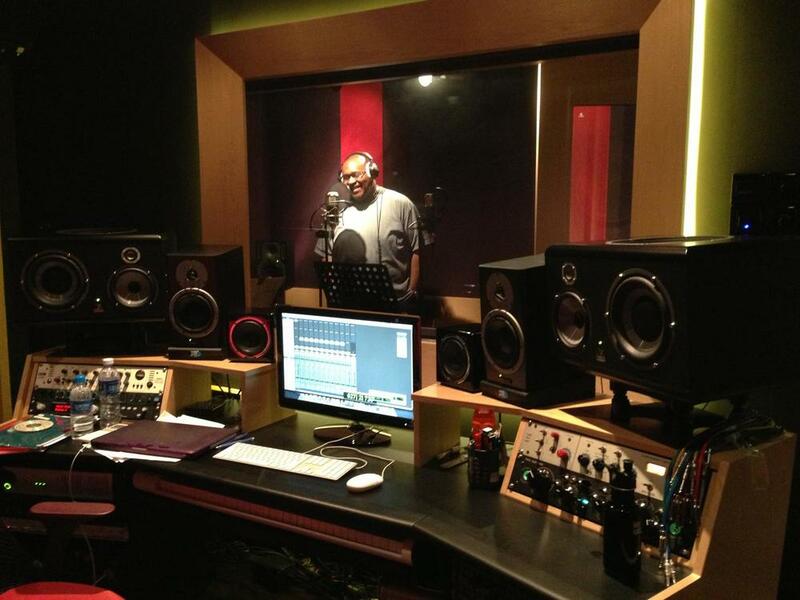 The recording studio fits 4 to 6 persons comfortably and is good for band rehearsals or teaching sessions. The control room is perfect for programming, editing or mixing. These are some projects that have been produced in our studio. The Recording Studio can record up to 16 channels simultaneously. Pre-sonus HP60 6-Channel Headphone Amplifier with 6 seperate external inputs for “More Me”. Alesis 16-Channel Mixer for playback of material from the studio or external input through speakers on stands.